Revelation Commentaries by Amillennialists aren't exactly a dime a dozen. Commentaries by orthodox Preterists are even rarer. So when I found Revelation and the End of All Things by Craig Koester, I was very excited, because in this book Koester, a professor of New Testament at Luther Seminary in St. Paul, MN, has done us a tremendous service by writing an Amil-Preterist commentary on the book of Revelation. Over the course of this 200 page book, Koester lays out his case that Revelation was a book written by John for a specific audience, and that they would have understood the entirety of Revelation as timeless truths for the purposes of encouraging and building up the church so that they could see and understand the victory that Christ has over the world. He begins by asking the question of whether the book of Revelation should be viewed primarily as predictions of future events or as 'timeless truth'. Obviously, how one answers this question is tremendously decisive to how you read Revelation or understand a good deal of Jesus' prophecies (particularly those in Matthew 24). He identifies those early in church history who held the futurist understanding of Revelation. These included Justin Martyr and Irenaeus, as well as the heretic Montanus (in an extreme form). "But if I cast out demons by the Spirit of God, surely the kingdom of God has come upon you. Or how can one enter a strong man’s house and plunder his goods, unless he first binds the strong man? And then he will plunder his house" (Matthew 12:28-29). Here, Jesus is saying that Satan is the strong man who is bound, and now that the Kingdom of God has come, Jesus is tying up Satan and plundering his house. "By putting these texts together Tyconius concluded that the thousand-year kingdom began with the first coming of Christ. Tyconius, however, recognized that Satan's being "bound" (Rev. 20:1-3) was not the same thing as his being completely destroyed (vv. 7-10). Therefore, until Christ's return, the church should still expect persecution as believers and unbelievers "exist side by side." This view was also adopted by Augustine, where it finds a very ardent defender. Even though he opposed Tyconius as a Donatist, he "found that Tyconius' interpretation provided a way to read Revelation that could be applied to the interior life of Christians in all times and places." People entered the millenial kingdom through the "first resurrection" (Rev. 20:4-6) by "dying and rising again" through faith in baptism. The second resurrection (Rev. 20:11-13) would be bodily at the end of time when Christ returned. When Revelation speaks of Satan's being cast into "the abyss" he "explained that this referred to the abyss of human hearts, where wickedness would reside until God destroyed it" (Pg. 8). Augustine also argued that the millenium "was not an exact period of time but a way of speaking about time as totality." He does this in The City of God 18.53. 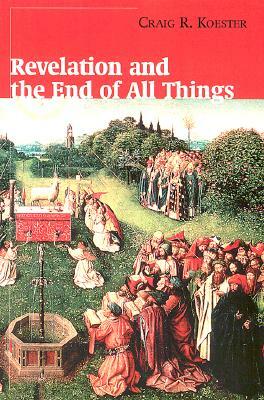 By Koester's estimation, this reading of Revelation was the most widespread for centuries to come. 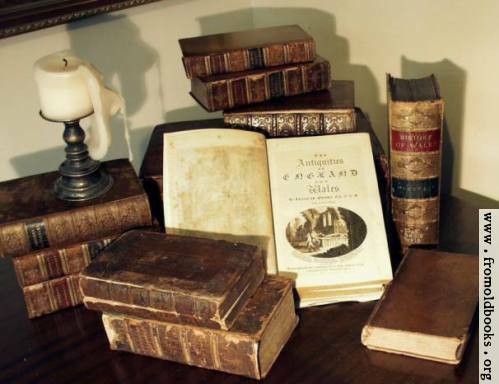 I am looking for facts that Augustine was a preterist. That he believed all prophecy concerning the Church ended in 70AD. And that there was a resurrection and ccoming of the Lord at that time. That he viewed the millennial beginning in 70AD? Is there any evidence he was a preterist? I don't think so, Pastor. Everything I've read from him in terms of eschatology from The City of God tells me that he is thoroughly amillennial, but not that he is Preterist. So Augustine is useful to Koester's overall goal, but not in every area. I find it very difficult that Augustine would be an Amil but not also a Preterist. The Amil theory was developed by men with preterist beliefs. Why claim the Catholic church is the city of God, as the millennial kingdom, if Augustine believed there was no future 1,000 reign of Christ apart from Catholicism? I believe he was a preterist. I think the language of his writings bear this out. Praise Be To God, It's a Girl! Who Says the Morning Shows Have Bad Advice? Christopher Hitchens the Van Tillian? Why Do You Search For the Living Among the Dead?